If you or someone you know finds it hard to read our letters or if you need someone to support you at appointments, please let us know. If you or someone you know has any impairment and/or difficulties when in the practice, we would be pleased to discuss how we can best meet your needs. If you have difficulty walking, we have a seating area near the GP Rooms. Please tell the reception when you book in if you are sitting on the “blue chairs” so the clinicians know where to find you. You can also complete this form to let us know. The surgery is designed to allow easy access for wheelchairs. 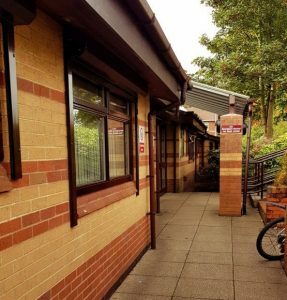 An induction loop system is fitted at reception for those with hearing aids and a portable system is available for use in the consulting rooms on request.